The first story from Sean McBride’s published short story collection, A View of the Edge of the World. The first episode is read and produced by Ed Robinson. The second story from Sean McBride’s published short story collection, A View of the Edge of the World. This episode is produced by Ed Robinson and read by Rick Robinson and Valerie Rachelle. The third story from Sean McBride’s published short story collection, A View of the Edge of the World. This episode is produced by Ed Robinson and read by Justin Waggle. The fourth story from Sean McBride’s published short story collection, A View of the Edge of the World. This episode is produced by Ed Robinson and read by R. Martin Klein. The fifth story from Sean McBride’s published short story collection, A View of the Edge of the World. This episode is produced by Ed Robinson and read by Frederick Snyder. 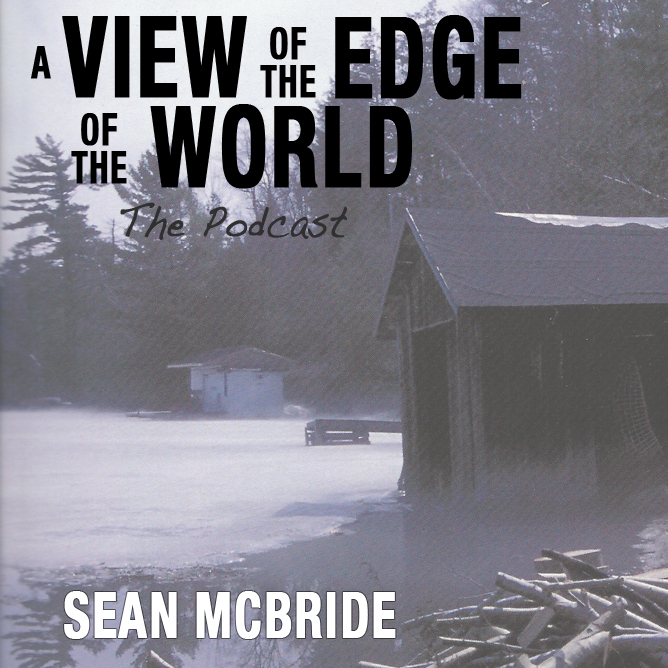 The sixth story from Sean McBride’s published short story collection, A View of the Edge of the World, is long enough that it has been split into two twenty-five minute episodes. This next two week’s episodes are produced by Ed Robinson and read by James Paul Xavier. The sixth story from Sean McBride’s published short story collection, A View of the Edge of the World, is long enough that it has been split into two twenty-five minute episodes. This week we bring you Part 2, produced by Ed Robinson and read by James Paul Xavier. The seventh story from Sean McBride’s published short story collection, A View of the Edge of the World. This episode is produced by Ed Robinson and read by David Nett.